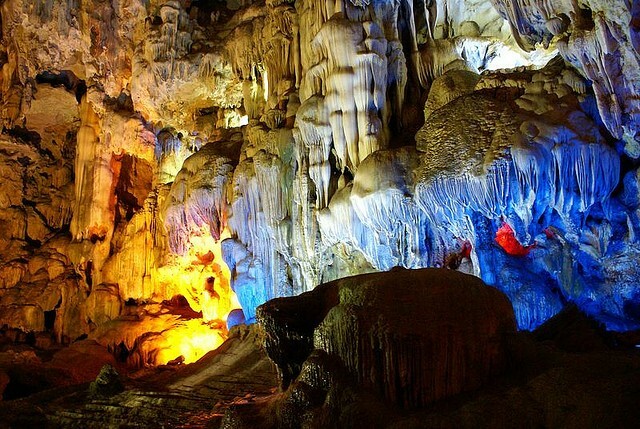 The caves of Huong Tich, Tam Coc, Dau Go and others make for colorful stalactites of various shapes. 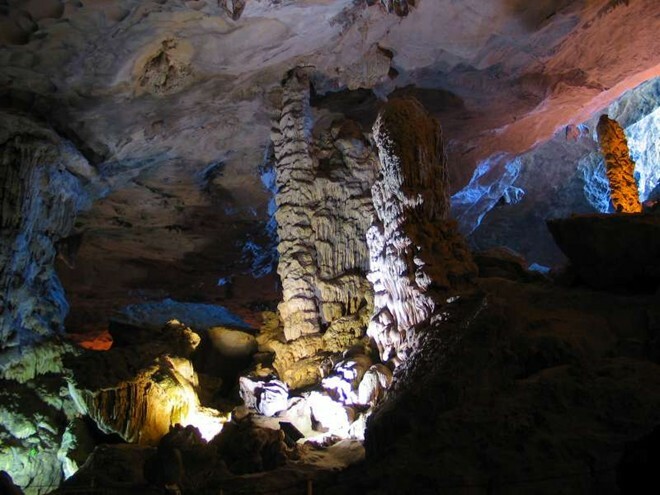 Huong Tich cave is in the national tourist area of Huong Son, in My Duc district, Hanoi. 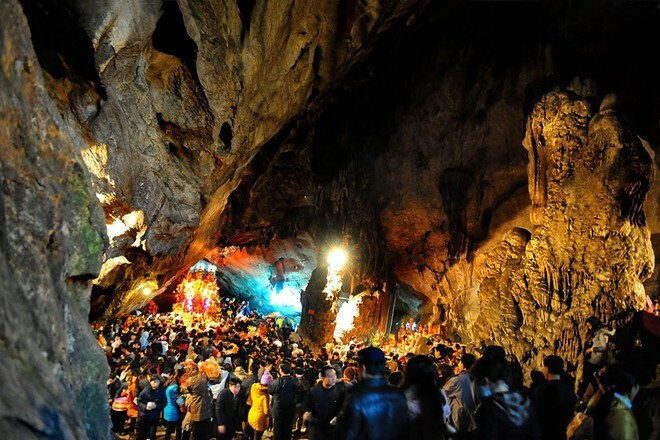 In March 1770, Lord Trinh Sam visited the cave and named it “Nam Thien De Nhat Dong” (the most beautiful cave of Vietnam). Photo: Mytour. There are many stalactites with strange shapes in the cave. They are named based on the shapes, such as Bau Sua Me (Mother’s Breast), Hoa Phien Nao (Sorrow Flower), Dun Gao (Rice Dune), Dun Tien (Money Dune), Cay Vang (Gold Tree), Cay Bac (Silver Tree). There is also the “road to heaven” and the “road to hell “. Photo: Mytour. The Kwan Yin green stone statue is carved beautifully and is a very old and valuable statue. Photo: Mytour. 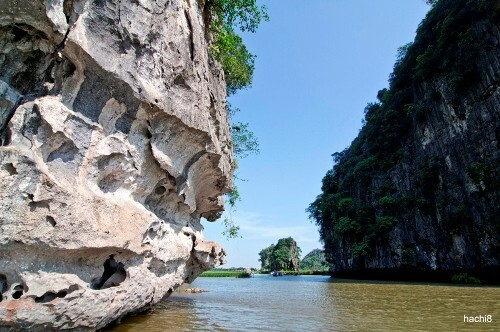 Tam Coc – Bich Dong is called to the “Ha Long Bay on land” of Ninh Binh. 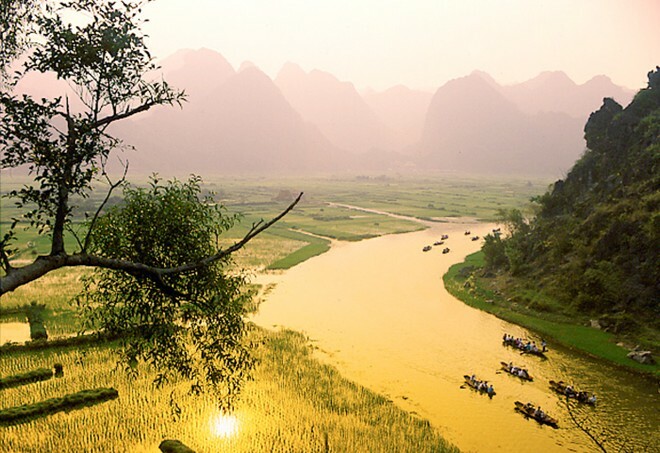 Tam Coc means three caves, including Ca, Hai and Ba. 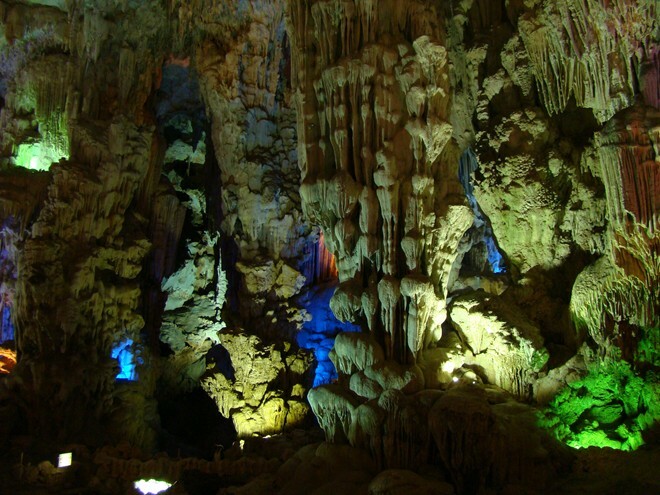 All the caves were created by the Ngo Dong River that runs through mountains. Photo: Hachi8. The only means of transport to discover Tam Coc is a boat. Photo: Hachi8. Dau Go Cave is on Dau Go Island in Ha Long Bay, Quang Ninh Province. Photo: Vietravel. 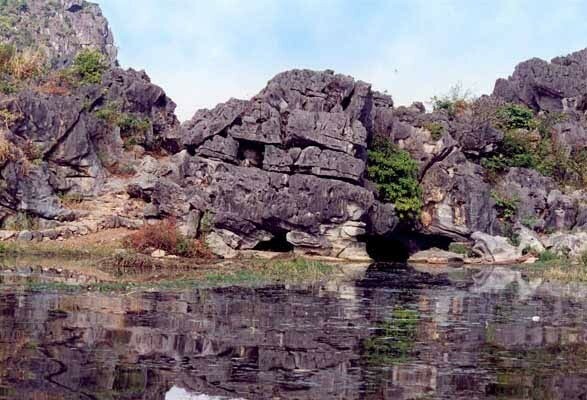 Thien Cung Cave in the north of Dau Island. Photo: Golux.vn. 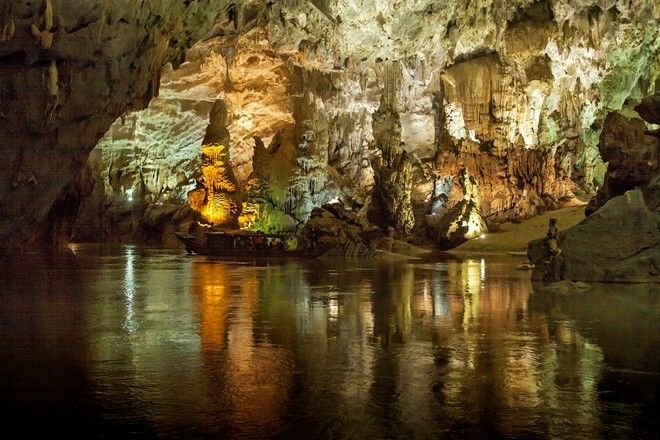 Phong Nha Cave is located in Ke Bang limestone mountain in Son Trach commune, Bo Trach district, Quang Binh province. Photo: Luaviet. Thach Dong has two main entrances. The wood-made Tien Son Temple is inside the cave. It was built in 1790 and rebuilt in 2003. Photo: Luaviet. 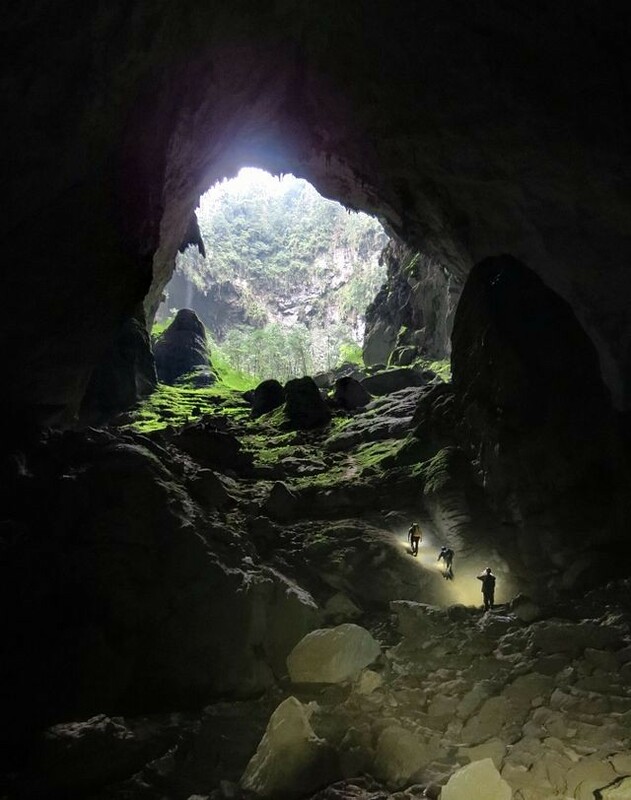 Son Doong is one of the largest caves in the world. 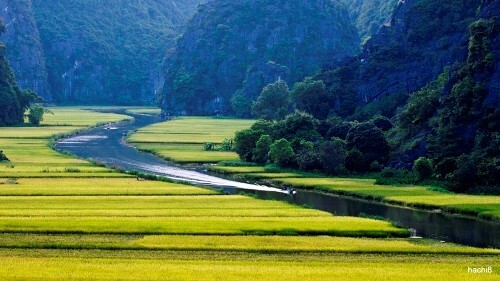 It is located in Son Trach commune, Bo Trach district, Quang Binh province. Photo: Oxalis. 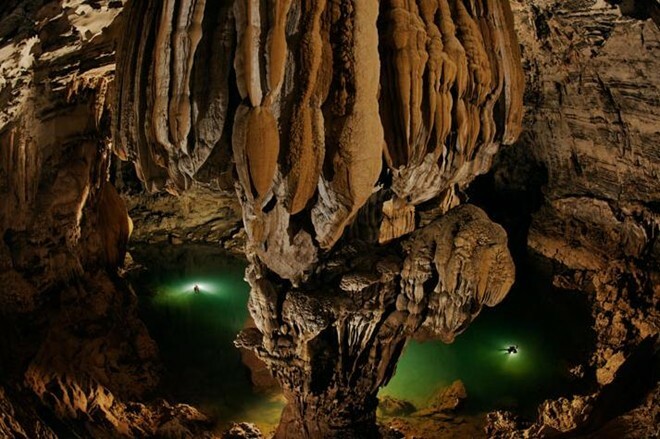 The cave was discovered in 1991 by a local man named Ho Khanh. 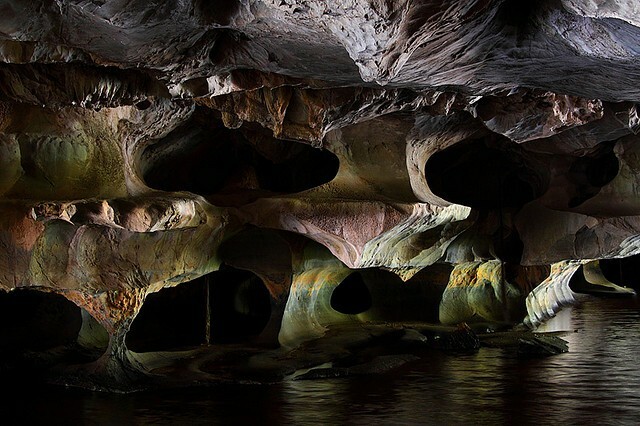 However, until 2006 the discovery of this cave was announced. Photo: Oxalis.